If there’s one style of wine we can’t get enough of in summer it’s rosé. We love it as a sparkling or still wine, in wineglasses at home or on a picnic, or even in plastic (slight wince) at the pool or the beach. Why? The color itself says “relax and don’t take yourself too seriously.” The wine sparkles prettily in hues ranging from the palest orange and shell-pink through apricot and salmon pink to clear, light cherry red. Rosé wines’ aromas evoke lovely fruits and florals – as do its flavors, which are a full range of red berry tastes. Well-made rosés dance on the palate with a liveliness (acidity) that encourages healthy, Mediterranean-style grazing at any time of the day. This is a wine to drink chilled and drink quickly (I mean within a year of harvest; you don’t have to guzzle it). Classic rosé wines originate in the south of France, in the region of Provence – another word that evokes vacation. In fact, it was French vacationers with their newly-acquired leisure time after World War II (fewer working hours, more summer holiday time) that began to spread the pleasure of rosé wines up north. They brought back rosé wines from their vacation trips, reveling in their memories of relaxing holidays in the bright sunshine and clear air of the Southern France. 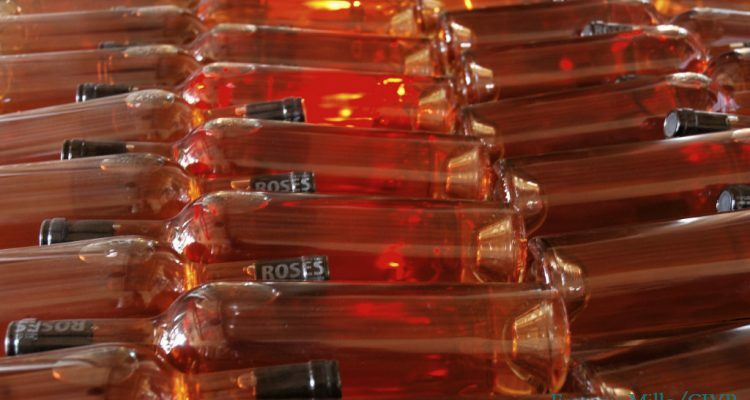 With the rise in popular demand for rosé, winemakers in southern France slowly began to improve their wines. Over the following decades, they were first rewarded with increased interest from tourists, then, more recently, from wine aficionados in the rest of the world. Rosé wines are not strictly the province of Southern France; in fact they have long been produced in many regions that grow red grapes. But because of the popularity of rosé, more and more winemakers in other regions have begun producing (and improving) their own styles of rosé winemaking, and exporting more, too. The result is that now rosé has become embedded in our lives in the US and many northern countries. In addition to countless more rosé wines from Champagne, Bordeaux and other parts of France, we now have access to rosados from Spain, rosatos from Italy, and rosé wines from just about every other winemaking region in the world as well. These rosé wines are made with whatever red grapes are grown locally. Rosé wines are made in three ways. Classically, red grapes are lightly pressed until the juice just begins to color the grape must, then that must is fermented into wine. This is the main method of production for rosé wines in Provence – and now in other nearby regions in the South of France. Grenache and syrah grapes dominate these wines. Another method to produce rosé is saignée, (“bled”) because some of the red juice is “bled off” (removed from the maceration tanks) very early during classic red wine production, when it has only been lightly colored by the red grape skins; this is then fermented into rosé wine. The third style may be found anywhere: red must or wine is blended in to white wine or must (from red and/or white grapes) at some point during the production process. However, this may not be the finest technique so it is rarely used (or rarely admitted to) in the best wines. 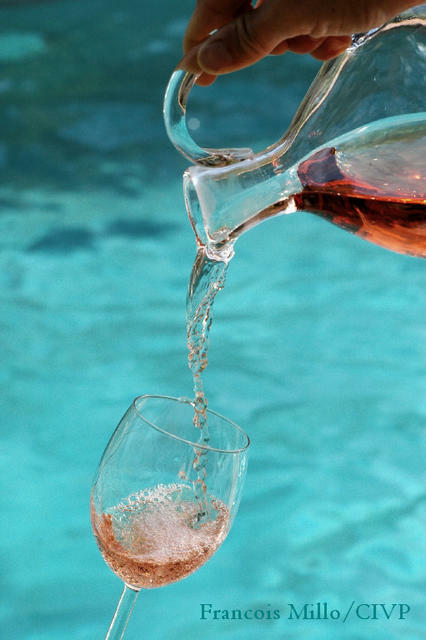 In rosé wines, the color, shade and intensity are determined both by the type of grape and the winemaker’s style. Each region has its own color preferences. But because of the variations of grapes, production methods and vintages, there is no direct correlation between the hue of a wine and its aromas, flavors, intensity, dryness or sweetness. The winemakers of Provence, for example, favor the paler hues, and their colors are exquisitely delicate: pearlescent pinks and the palest of salmon and orange hues. Northern Spain’s rosados tend to be more of a reddish pink, even though they are often made with grenache as in France. Many consumers mistakenly look for pink — literally “rose-colored” rosé wines — and are surprised to find so many different colors on the store shelves; in fact, most of the best rosés are not bright pink. 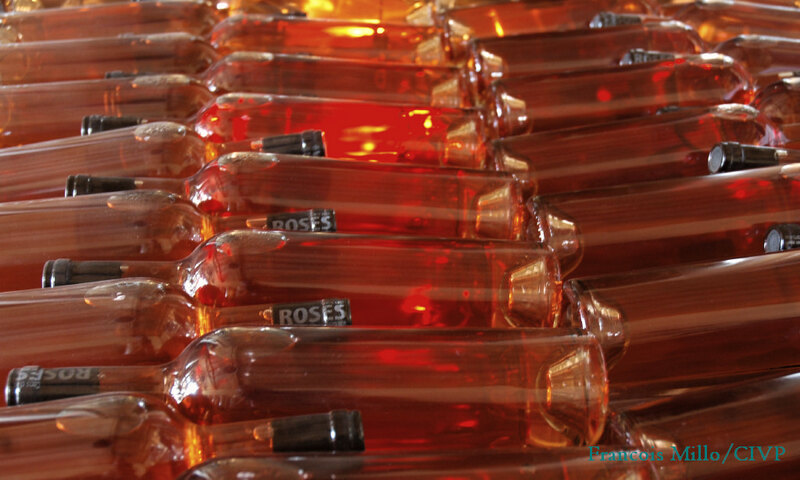 Historically, many rosés were lightly sweet, while today, there are more dry rosé wines being produced. However, the slightly sweet wines can be easier to pair with a variety of foods. Many dry rosé wines are better served as an aperitifs, on their own. With food, a good place to start is to open a bottle and take a sip of the rosé wine. Then think Mediterranean food for pairings: savory or slightly salty flavors, vegetables, fish and seafood, perhaps a light goat cheese. Think al fresco dining, too. In the South of France, rosé was traditionally consumed at outdoor meals during the warmer months. 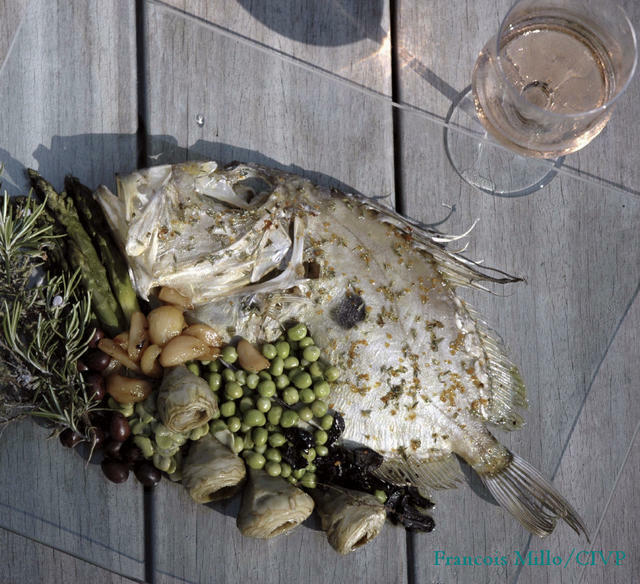 We consider many rosés to be “picnic” wines: nothing formal is asked of us when we enjoy these wines with our meals. Now that you’ve absorbed the fact that there are many different styles of rosé wines, you might be tempted to set up a rosé tasting: DON’T DO IT. Rosé wines can be so different, some very delicate and some quite intense, that often none of the wines will stand out, and they may annihilate each other’s strengths. A better idea: simply open a bottle, pour, sip and enjoy. Repeat with a different bottle the next day. Typical of vinho verdes, this wine may open with a slight pop and fizz on the tongue at first. The wine is a light, clear red – one of the more intensely colored rosé wine styles. Its aroma is lightly floral in almost artificially sweet way. Bright berry and cherry fruit appear on the palate, and wine has a good, mild body. The taste is slightly sweet on both front- and end- palate. A nice aperitif wine. It was shocking to find an old-style synthetic cork on this Mouton Cadet wine. More shocking than it would have been to see a screwcap – what were they thinking? The wine is a pale, peach pink. A bit of orange peel in the aroma. Peachy on the palate. A very light body. Moderate-light finish, almost self-effacing. But good minerality. Delicate; best consumed on its own. Recommended with reservations. Medium light salmon color. Earthy notes in the aroma. Plummy and earthy wine with a moderate finish. More like a light red than a rosé – but nicely fruity, too. You can tell by the flower-scattered bottle that this wine is meant for a fun and informal gathering — and it’s only 9.5.% alcohol. In the glass, the wine is a medium rose color. The bottle’s décor suggests florals in the aroma, which coexist with light strawberry at first, then deepen to cassis in the nose and on the palate. The combination of fruit and light acidity make this sparkler very easy to drink: simple and fun. Pair it lightly, perhaps just with some whole grain crackers before lunch or dinner. Made from pinot noir, this champagne’s color is a clear, salmon pink. 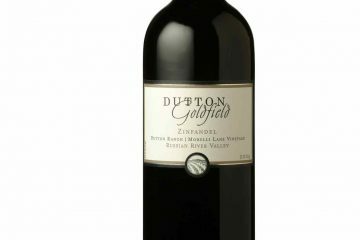 The berry-fruit flavors are nicely ripened, and good acidity is maintained throughout the palate and finish. Elements of orange and orange peel augment both the wine’s fruitiness and liveliness. Toasty notes are mild at first, growing stronger and slightly yeasty in the finish. Excellently balanced sparkling wine, very “more-ish.” 12% alcohol.